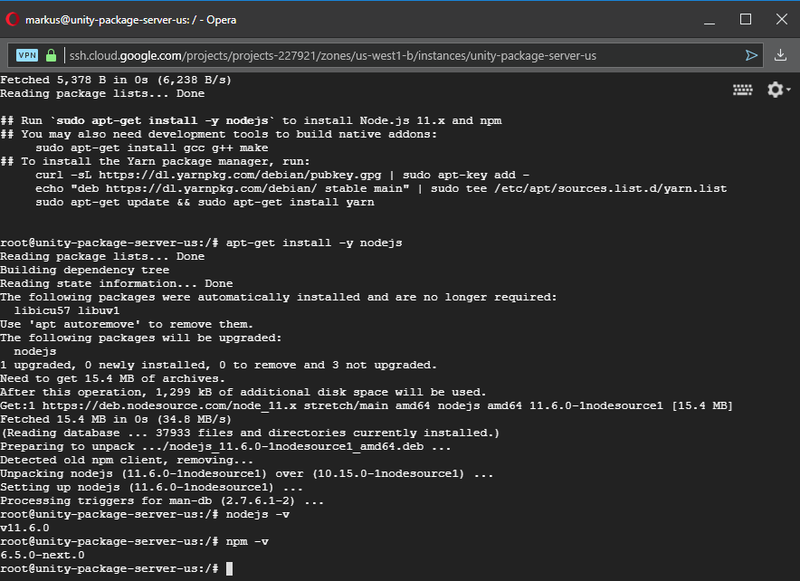 Run your own Unity Package Server! 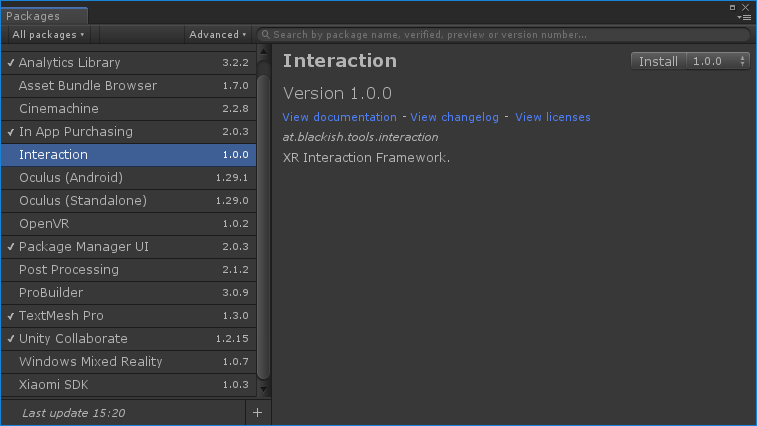 A little while ago Unity introduced its Package Manager, a nice and simple way to bring reusable packages into a project while keeping track of dependencies and compatible Unity versions. How great would it be if we could use this system for our own reusable assets, if we could store them on our own server and have them show up in the package manager too? 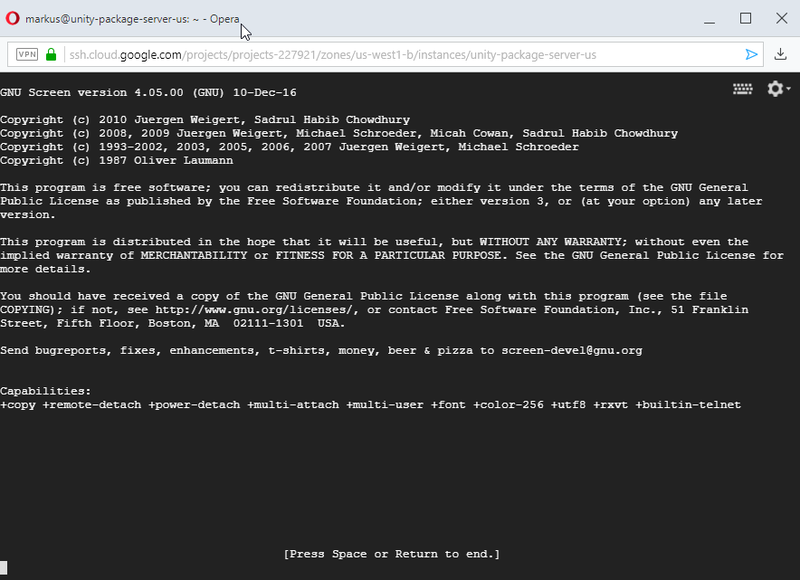 Unity is using a normal npm package server to serve their packages. We can simply set up our own npm package server, hook it into the project manifest and have the package manager serve our own packages in addition to the ones from Unity! Unity is using Artifactory, but we’re going to install Verdaccio (a lightweight and free npm registry server)! We’ll put it on a Micro Instance on the Google Cloud Compute Engine (but you could just as well have it run on your local PC). Go to your Google Cloud Platform Console, choose Compute Engine > VM Instances and click on CREATE INSTANCE. Give it a name, choose a region, select micro as the machine type and click Create to create your Debian 9 Linux Server with 10GB of storage. With our instance created and running, we’ll now connect to it by clicking on SSH. Think of a password and enter it. And enter it again. It asks for the password you just set, enter it and you should now be logged in as the root user! 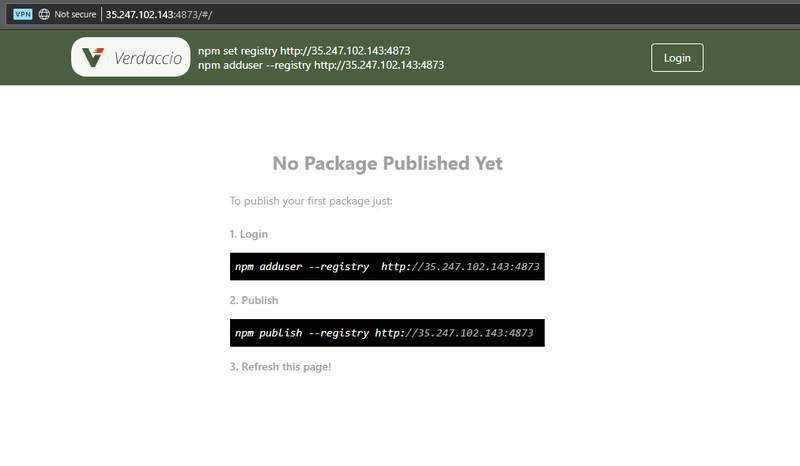 nodejs and npm are installed! For both these steps you’ll see it installing things, no errors should come up. If each command shows you a version, then it worked! Now we’re ready to install Verdaccio! Let it install. Once it’s done switch back out of super-user mode by either pressing CTRL+D or typing exit, because while we wanted to install it as the root user, we want to run it as a normal user. But before we run it we need to change something in the config file. Press i for insert. Add the two lines, then press ESC to come back to command mode. Now type :x + Enter to save the file and quit VIM. Verdaccio is running on port 4873! Great, it’s running! But we need to tell the firewall around our server instance to un-block port 4873 so we can communicate with Verdaccio from the outside! 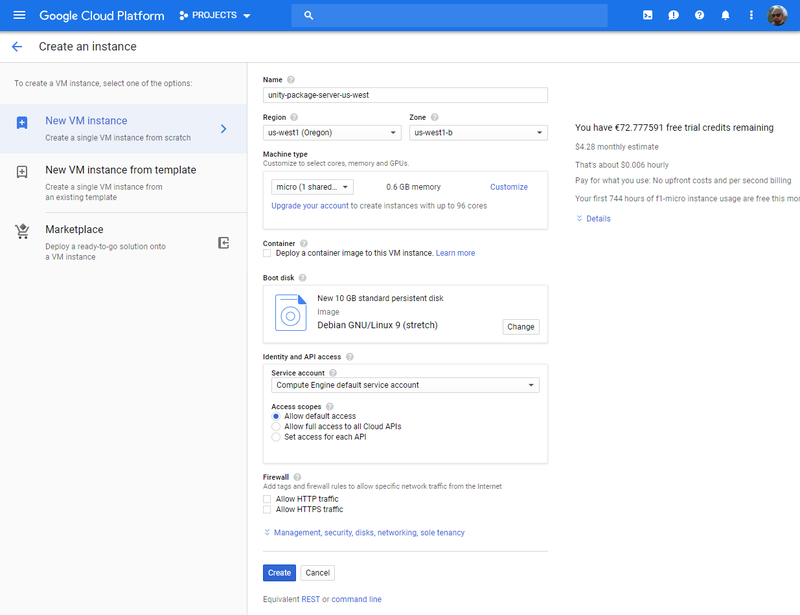 Go to the Google Cloud Platform Console > VPC network > Firewall rules and click Create Firewall Rule. We want to create a rule that allows incoming traffic (Ingress) from all possible IPs (0.0.0.0/0) for tcp port 4873. This opens up a new virtual screen, a kind of safe place, which is where we will now launch Verdaccio! Then we simply press CTRL+A and CTRL+D to detach the screen session. It’s still running in the background with Verdaccio safe and sound inside it and we can even get back to it at any time by typing screen -r, but most importantly we can now close our terminal window without killing Verdaccio! Now we’re ready to create users, add packages, and hook it up into Unity! Enter a username, password and email address and you should be created and logged in! The process for this is simple: Put all the files into a folder, add a package.json file that holds all the relevant information and upload everything via npm! I recommend having that folder in a Unity project, because the resulting package will not work if a meta file is missing and having it inside Unity makes it easy for you to see if everything is in order. Note how you can define a required unity version, description and other things. You could even add a README.md file. 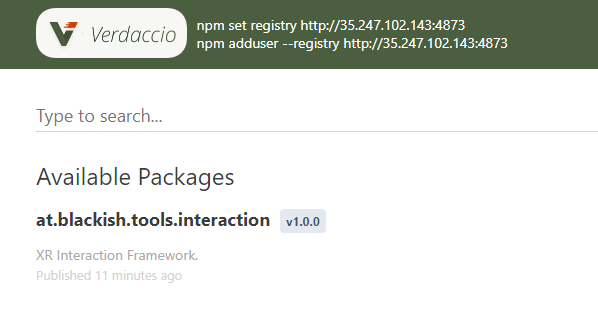 npm and Verdaccio will do the rest and your package will now be visible on Verdaccio’s web interface! If you want to release an update to your package, simply increase the version in your package.json file and publish the same way! Verdaccio will keep the entire history of your packages so dependencies will always bring in a compatible version. 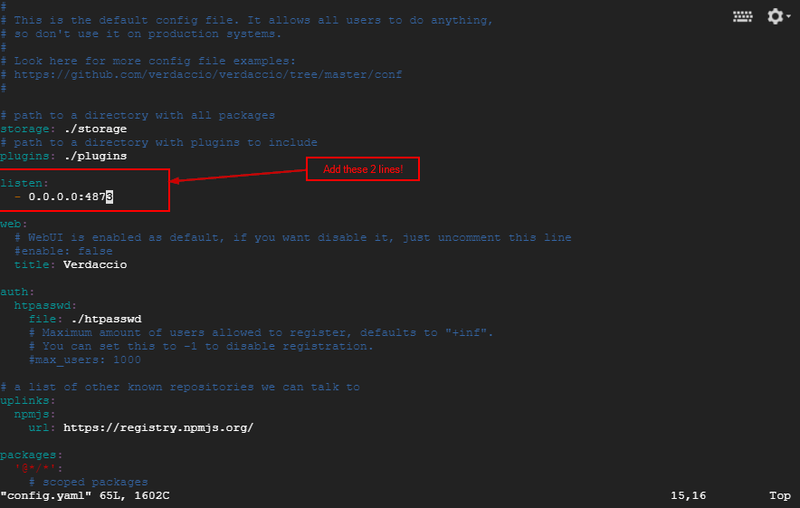 Step 5: PackageManager, meet Verdaccio! Now there’s only one last thing to do: Get the Package Manager to talk to Verdaccio and show our custom packages! 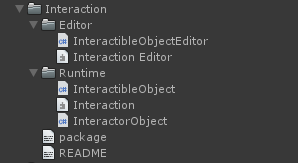 This is enough for packages you publish to your own server to show up in Unity’s PackageManager, as long as their names are within the given scope. So if your scope is com.company.tools, then com.company.tools.mytool will show up, but com.company.mytool would not show. 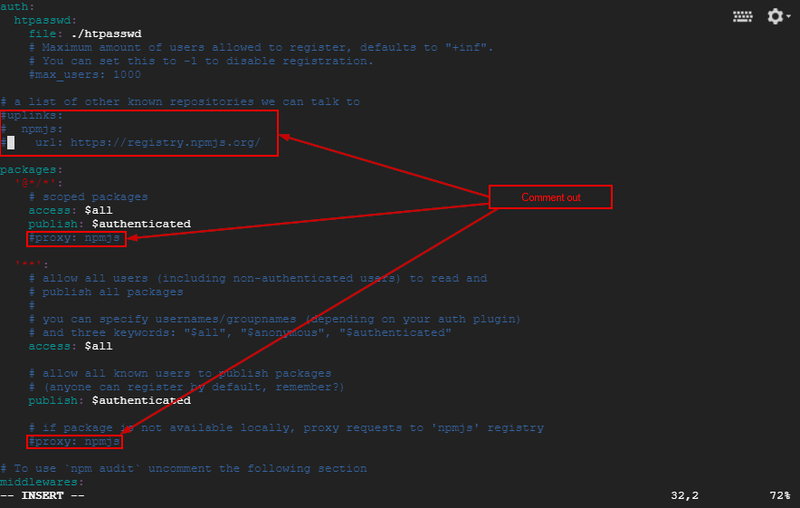 The Package Manger will search all registries for packages that are within the given scopes. You can add multiple scoped registries with multiple scopes each. 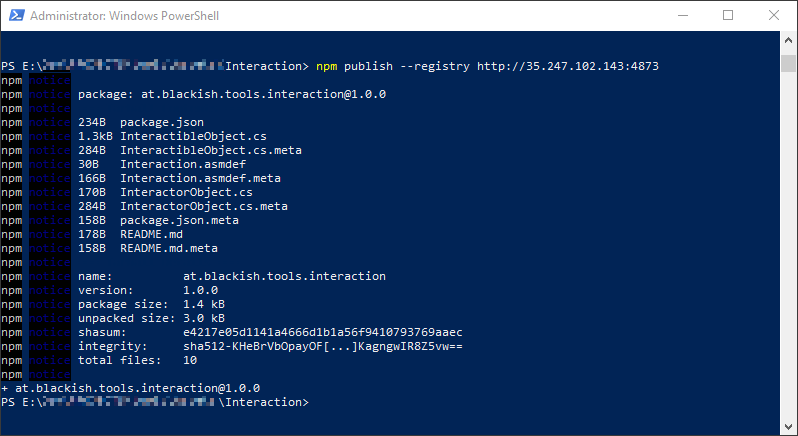 You can even have the same package names on multiple registries and it will pick the one from the registry with the more specific scope. Our own package in the Unity Package Manager, served from our own npm package server! Just kidding, I did look into that. The simplest way to at least stop everyone from uploading and deleting packages is to restrict registration. Once all your users have registered you can simply set max_users: -1 in the config file and no one can register anymore. All your user data is stored in the htpasswd file, so you could even set up all users by hand (tools like this one can help you md5-hash your passwords) and having registration disabled from the start. The way we have set it up the external IP address of our server instance changes every time we stop and start the server. We don’t plan to do this very often, but it might still be a good idea to go to VPC network > External IP addresses and switch the type of our IP address from Ephemeral to Static. XR specialist, exploring the multitude of potential futures one prototype at a time.